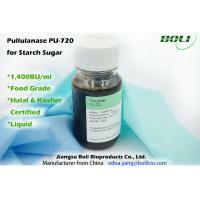 Pullulanase PU-720 is produced from Bacillus licheniformis through submerged fermentation, extraction and refining processes. 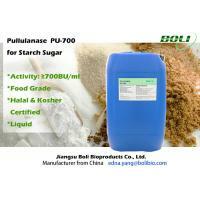 It is so-named because it can specifically hydrolyze pullulan (maltotriose, α-1, 6 glycosidic bond linking polymer). It belongs to amylase which specifically cleaves the α-1, 6 glycosidic bonds of the branching point of amylopectin and cut the entire branch structure to form amylose. 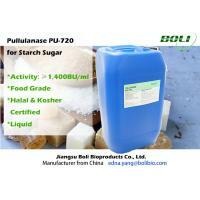 PU-720 is typically used in combination with glucoamylase to produce high glucose syrup and high maltose syrup from liquefied starch. 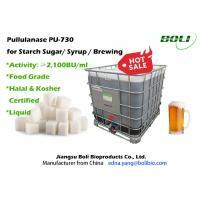 In the production of beer, if the starch is not completely decomposed, the fermentable sugar content will be decreased, and the beer made from fermentation will not meet the requirements. 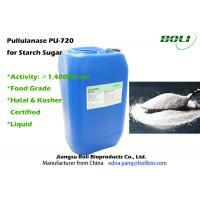 The synergistic effect of pullulanase with alpha-amylase will enable pullulanase to completely decompose starch contained in the raw materials, reduce the wort content in the beta-limit dextrin, increase the amount of fermentable sugar, thus greatly improve the fermentation efficacy. 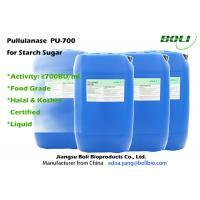 The effective pH range for PU-720 is from 4.0 to 5.0; its optimum pH ranges from 4.2 to 4.6. 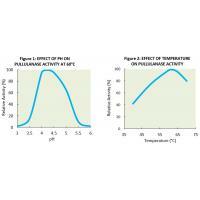 PU-720 works effectively at temperatures from 50 to 65°C; its optimum temperature range is from 55 to 60°C. original packaging, sealed and unopened, protected from the sunlight. 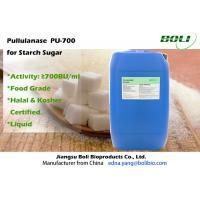 Its shelf-life will be eighteen-months if this product is being store properly at 0∼10°C. may lead to a higher dosage requirement, thus should be avoided. 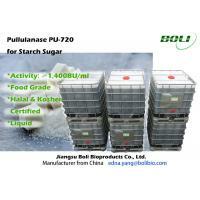 We are a leading enzyme manufacturer with 25+ years expertise in China with an established reputation as a reliable supplier of quality enzyme products to our customers at home and export to 16 countries . Equipped with most advanced technologies of submerged fermentation, extraction and refining process, our world-class factory is ISO 9001, 14001, 22000 certified and also complies with GMP standard. 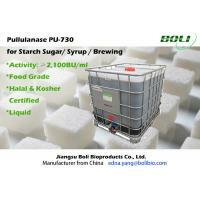 Our products, both Halal and Kosher certified. 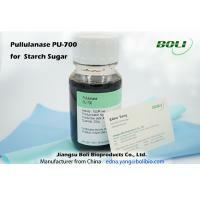 Our strong technical team consists of professionals with more than 25 years expertise in the research, development and production of enzyme preparation and co-operates closely with most renowned and prestigious research institutes and universities in China, which enables us to satisfy customer needs consistently. We sincerely look forward to support you for your success and prosperity in the future!